The principal function of a hydraulic bench press is still the same as it was a couple of years ago. However, modern hydraulic bench presses are considered to be more efficient, precise and powerful nowadays (Source). If you have been window shopping for the right press, you must have realized that there hundreds of products to choose from. 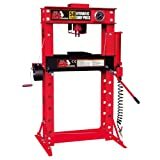 This alone can make it difficult for first time shoppers to buy the right hydraulic bench press for whichever application. To be on the safe side, there are several things you need to consider while shopping for the best unit. So, which aspects should you consider while shopping for the best hydraulic bench press? Some of the key considerations, as you will learn later in this guide, include precision, size/tonnage, versatility, press selection type and quality. 8 What Can My Hydraulic Bench Press Make? Are you looking for a hydraulic bench press that is highly versatile, dependable and of high quality? 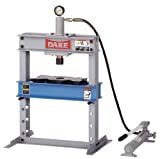 You should consider buying the Drake B-10 Manual Utility Hydraulic Bench press right away. The single speed hydraulic pump machine is manufactured in China, but is one of the high quality products available today. Flexibility is another aspect you will definitely love about this product. In this regard, the B-10 Model press is equipped with a flexible height table. This, coupled with its H-frame design, allows the press to accommodate relatively large and bulky items. The work-head on this product is also movable, which makes it even more flexible and easier to ease off-center pressing. This Hydraulic bench press is designed to deliver a maximum of 10 tones of pressure. Other features that make this product an appealing choice include a flat ram nose and reduced step nose. Additionally, the machine is equipped with multiple table plates. If you have limited space in your workshop, this product will come in handy. For those looking for a really capable heavy-duty piece of equipment for their shops, the cost should not be considerations. 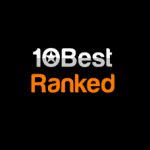 This is because most of the leading products in this category are relatively expensive. However, the Torin Big Red TRD55002 is among the few products that will offer you a good value for money. Having been designed for heavy duty applications, this product will easily deliver up to 50 tons of pressing pressure. The product features a 2-stage, air-driven hydraulic pump. This makes the unit ideal for the rather delicate metal pressing as well as for the heavy-duty pressing applications. With regards to durability, this product will not disappoint you. To begin with, it features a durable steel frame. The product is also shock resistant, which further enhances its durability in the work environment. The product is also flexible in that you can customize its weight-width-height disparity depending o the project you are working on. 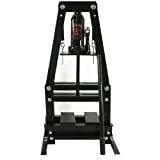 If you are looking for the best blend of affordability and functionality in your new bench press, the Black Bull PRESSA6T A-frame Shop Press will be a great choice. To begin with, this product is packed with an array of performance and convenience features. For instance, it is equipped with a spring-return press beam. Again, the unit is equipped with two press plates, giving it a working capacity of up to 12,000 lbs. With regards to flexibility; the product allows you to adjust a few aspects. This A- frame press features an adjustable table. You will find that this alone makes the product easier to operate and work on differently sized items. The durable powder-coating used on this product not only makes it aesthetically appealing; it also makes it resistant to corrosion and more durable. Finally, many users love the compact design of this product. As such, it will require minimal space in your workshop. Versatility is one of the reasons why this product is rated one of the best hydraulic bench presses today. in this regard, the Dragway 6-Ton Hydraulic Press is not only suited for metalwork pressing; it may also be used to install and remove ball joints, bushings, pulleys, gears, and U-joints. Like most of its users today, you will also love its open-sided design. This unique press design makes the product relatively easier to operate, especially when working on longer pieces. Additionally, the flexible, bolted cross beams used on this product make it easier to lower and lift. As compared to the 6 ton hydraulic presses discussed above, 10 ton hydraulic bench presses are more versatile and will give you more pressing force. 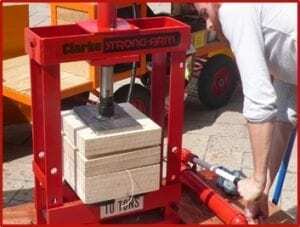 If you are looking for such a capable machine, you should consider buying the Grizzly Bench top Shop Press. This product boasts of a horde of features that make it easier to operate and more precise. For additional pressure, the product is equipped with a pressure gauge, in addition to a top to bottom-mounted hydraulic pump. For enhanced flexibility, the press will offer you three different bed settings. You will also love the compact, vertical design of the product. Depending on the intended application, you need to ensure that you buy the right hydraulic press. As you may be aware, hydraulic presses are available in two main types today; the four-mounted hydraulic presses and the bench-top hydraulic presses. If you have limited space for the new equipment, the best hydraulic bench press will be the right choice for you. This is mainly because these machines are easily movable and will save you some space in your workroom. 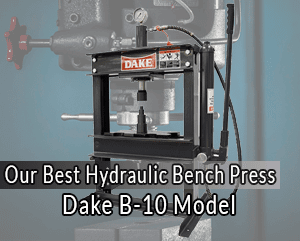 Commonly referred to as bench-top hydraulic presses, the H-frame bench presses feature a rather simple construction. Basically, these machines comprise of a simple steel frame and an inbuilt hydraulic cylinder. Though simple in construction and operation, it is still important that you get the right press for the intended application. In this regard, there are several things you need to consider while shopping for one. When it comes to the tonnage, the ability of a hydraulic bench press may be compared to that of a mechanical press. With regards to the tonnage, you first need to ascertain what you will be using the machine for. Most of the relatively affordable units today are capable of exerting about six tones in force. While this may be a viable option for simpler applications, there are a lot of things that such a press cannot do. Basically, an increase in the amount of force a press can exert increases its versatility. As such, you will find that a 20 tones press is relatively more versatile than a 12 tones machine. For simpler application, you may go for a 12 tones hydraulic bench press. 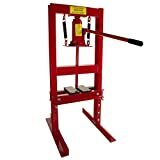 However, a busy auto garage will require a bigger press. In such a case, a 50 ton machine will come in handy. Again, choosing a unit that offers an adjustable tonnage may be a better option. Such a unit will allow you to customize the tonnage for every job. Based on the end requirements of each of the tasks you will be carrying out with your press, you need to choose the right press selection type. For instance, you may require an easy access from all the three sides. In such a case, you should opt for an open-gap press. If you are looking for an even distribution of pressure with your machine, you should go for a 4-column press. For off-center loading associated with most progressive die applications, you are going to need a unit that offers the rigidity required. For such an application, a straight-side press will be the right choice. The leading hydraulic press brands available today offer a considerable amount of versatility in their products. This being the case, it is advisable to buy a product that allows for a certain level of customization. With such a machine, you will have an easier time selecting the ideal configuration for each task. For instance, it is advisable to purchase a press that offers adjustable tonnage, ram speed and operating pressure settings. The more customizable your preferred hydraulic press is, the better the results you will be able to get with each application. For a smaller shop press, adjustable features will come in handy. This will help you maximize your production while minimizing operating times. Well, these are money-saving variables in any work environment, don’t you think? There are those hydraulic bench presses that are primarily designed for light-duty applications. Such units are capable of reversing and momentarily spanking the work. Then there are the heavy-duty presses that are built for general purpose metal work applications. What Can My Hydraulic Bench Press Make? Typically a hydraulic bench press makes wheel bearings. However, there are many other things you make use your hydraulic bench press to create. For example, you can make pinion bearings, shaft bearings, and axle bearings. Additionally, there are many other parts you can create. For instance, you can make bushings or cylinder linings. You can also use the press to push pieces of metal together, to crush metal cans, or to squeeze oil out of remaining containers. If you make jewelry for a profession, you could also purchase a hydraulic bench press to help make your job easier. One piece of this is that a hydraulic bench press allows you to press each piece of jewelry without any markings. When you use hand pliers to pinch or crimp your jewelry, you are often left with many small marks on the metal. This can make your jewelry appear cheap or less desirable. Additionally, a hydraulic bench press allows you to streamline your entire process. You can make each piece handmade but still process the pieces quickly. This allows for an elegant, but simplified system. When you run a piece of jewelry through a hydraulic press, you can have the press preset to design every angle you want. This saves you an incredible amount of time, as traditional methods of handcrafting jewelry take a lot of extra time on the part of the jeweler. First, and most importantly, make sure you regularly check your oil levels. Use a light hydraulic press oil and filter any new oil. This will ensure that there is no dirt in your oil supply and that the press always has enough oil to function properly. Additionally, if your hydraulic bench press is not functioning correctly, stopping or jerking, then check your oil. You may need to clean the lines and start with completely new oil. Each time you sit down to work on your press, we recommend you examine the press for oil leaks. These leaks can cause a lot of danger, especially in a heavy work area. Be cautious and never use flame near a place where you could have oil. Since these presses are normally on a table or bench, you should ensure that your press is pinned down before each use. 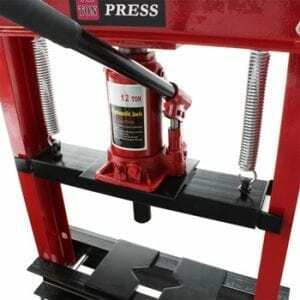 If you begin using your press, unaware that it has come loose, you could injure yourself or another person. You should also examine the piston before you use the press. If the piston is damaged in any way, do not operate your bench press. Fully replace or repair the piston before operating your bench press. Check all of the cables for fraying as well. It could be a worst case scenario in your workplace, as the cable could snap and the hydraulic pressure could cause pieces to go flying. Follow each of these steps to ensure the safety of you and those around you. Just as is the case with any workshop equipment, the choice of the right hydraulic bench press is not an easy one. The market today is flooded with these products. Additionally, the available products vary in terms of performance, versatility and quality. You may be looking for a compact, space-saving model, or a heavy-duty product or just an affordable bench press that is versatile. Regardless of the case, this guide will help you choose the best hydraulic bench press available today. Also, check out our guides for Hydraulic Crimping Tools and Wire Crimping Tool out there!